Lever Hoist are compact, portable, and durable, that are ideal for pulling, lifting, dragging, and stretching construction and industrial applications. 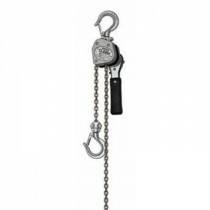 The flexibility of the lever hoists to lift in most positions, including horizontally, is an advantage over chain blocks or chain hoists that are only used vertically. Keble’s Trading carries an extensive line of lever hoists from CM puller to vital lever blocks VR-2 series that are essential in the effective completion of your materials handling projects. 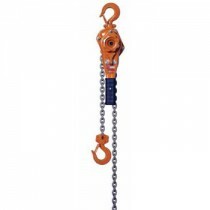 In stock, we have our CM range, CM puller that is built for ease of use and ease of maintenance that are available in 750kg to 6tonne capacities, and the lightweight and versatile CM rigger that are available in 700kg to 1.4tonne capacities. We supply the L series lever hoists L3 series lever block and L5 lever hoist - L5 lever block that have a range of capacity from 250kg to 9tonne. 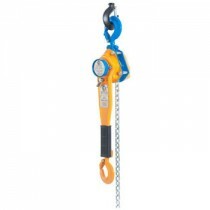 Included in our stock, as well, is the LX series lever hoists that are available in 250kg to 500kg capacities. We also provide the extremely lightweight and compact Mini levers block ATOM series that are in 250kg capacity. And our premium Titan TLH lever hoist in the range of capacity from 0.25 to 9tonne, are also in stock for that reliable application. Our array of Pacific and Vital lever blocks that give you functionality and safety will surely address your lifting, pulling, or stretching requirements. We provide Pacific challenger lever block and Pacific Challenger Lever block with overload protection that are available in 250kg to 6.3tonne. In our selection, as well, are Vital Lever Blocks NR-2 Series in a scope of capacity from 250kg to 9tonne, and the Vital Lever Blocks VR-2 Series that are available in 800kg to 6.3tonne that will successfully assist you in your construction and industrial application. We spend considerable time on thorough quality process to source our products meticulously from reputable manufacturers providing you assurance that our level hoist are reliable and durable. Our competently trained technical personnel can assist you with good recommendations and can answer all your queries. 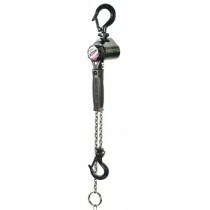 Turn to Keble’s Trading for reliable-grade LEVER HOISTS. Talk to us! We speak your language! We understand your business. Call us at 1-800-067-687 or fill out the contact us form below. No inquiry is too large or too small. We would love to be of service to you today!